Partnering with CoreScreening is a rewarding business relationship that brings you unlimited income opportunities. When you connect your clients and members with CoreScreening’s services, we all prosper. Empower each of your members with discounted background and drug screening solutions. Revenue Share – Collect monthly residuals when your members use CoreScreening’s background and drug screening services. Dedicated Support – A dedicated service representative will share in your support to your members.  We will work with you to help promote CoreScreening’s solutions to maximize your revenue share. Revenue Share – Collect monthly residuals when your referrals become CoreScreening clients. Your earned revenue grows as their business grows. Expanded Network – Work together with a CoreScreening Account Executive who is dedicated to your success and jointly share leads and business relationships. If you have not already done so, determine the company’s decision maker for background and/or drug screening. Leverage your relationship and ask them if they would be interested in a complimentary, professional consultation of their existing background and/or drug screening program. Compliance - Review of State/Federal and EEOC laws based on industry and level of employees screened. Background & Drug Screening Solutions - Overview of available background/drug screening solutions with recommendations based on position and industry. Pricing - Review current pricing to ensure it is competitive compared to industry standards. Processes - Work flow optimization discussion of existing internal and external screening processes and recommendation for improvement. Once the decision maker confirms interest and provides permission to give contact information to CoreScreening, please complete the referral form below. We will handle the rest! If/When the company places their first order with CoreScreening, you will be notified via email. You will then receive a payment for a percentage of the *billed revenue for the first twelve months after the first order date. The account must bill a minimum of $200.00 to qualify. **Checks will be mailed on the 5th of each month to the address provided. *Revenue share is for background screening services conducted by CoreScreening. Excludes drug screening, immunization tracking and fingerprinting services.